With Valentine's Day approaching and love in the air - I've teamed up with the wonderful Cheerz to review their personalised, sentimental Cheerz Love Box. Disclaimer: If my other half is reading this. Please stop. Don't read any more. So every Valentine's day I reach my wits end thinking of an unique, special gift to treat my other half with. I've thought of it all - I could go with the standard aftershave and chocolate combo but let's be honest with it only being a month or so after Christmas I know he's already fully stocked up. I've tried the good old teddy bear present - but about 2 days later he cut the wires out of the talking monkey I was well proud of. I've even considered going down the route of male cosmetics but he's so fussy and likes what he likes so that's a no go. 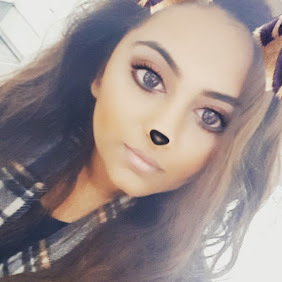 Until I was in contact with the lovely team at Cheerz (They really are so lovely - you should give them a shout) who welcomed me to chose any product from their range and see if it could solve my gifting woes. Rest assured - I think this year he's going to be more than happy! 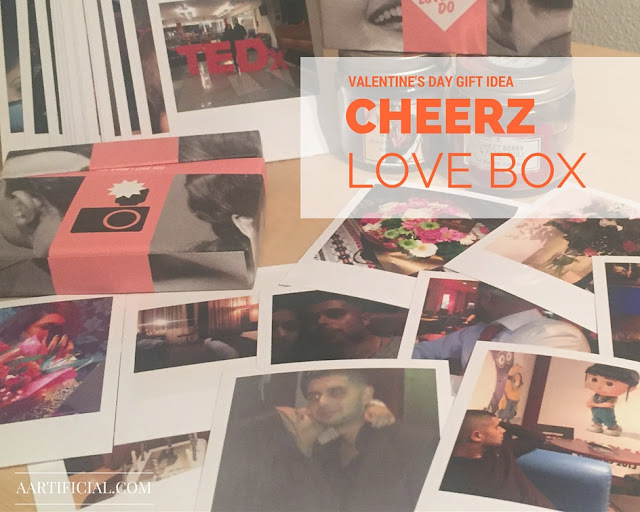 The Cheerz Love Box is comprised of up 30 perfectly printed poloroid style photos all presented in a sleek, compact case. At the reasonable price of £13 (discount code below) all images come with the option of adding emojis or a caption underneath and are of such high quality. You have the option from uploading straight from your Camera Roll or from your social media accounts and Dropbox. I personally used both, images saved on my phone and from my Instagram. Once your images are uploaded (which literally took less than a few seconds) you are brought to a page where you can add captions. I chose to opt out of this simply because everything I was thinking to write started to sound kind of lame and I wanted this to be something we could look back in years to come and not have to cringe at how cheesy I was. But I'm sure this can be handy for adding in dates or comments about where the photo was taken. After 15 mins all my images were uploaded and my Cheerz Box was on it's way to me. I actually ended up ordering 2 identical boxes because I'm greedy and wanted one to keep for myself. Delivery was super speedy and I received my box after 3-5 days and it's now sitting on my dresser waiting for Valentine's Day to approach. Overall my experience with working with Cheerz has been nothing but positive and such an ease. 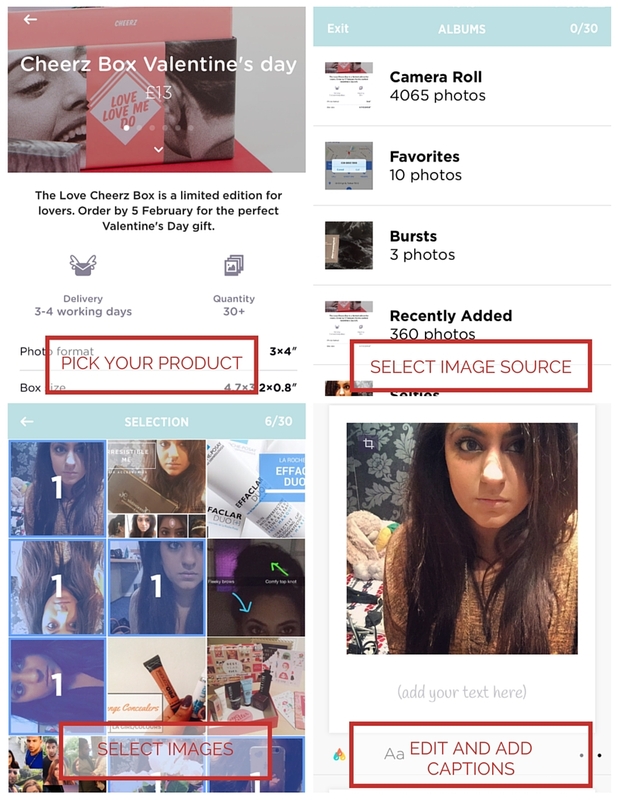 Whether you have an other half to share valentine's day with or you're simply looking for the perfect, personalised gift to treat a friend with - definitely give Cheerz a go. I'm sure you won't be disappointed. I'm been thinking about getting some photos printed for a while now. I'm going to give this app a go!